Today I wanted to show you a product that will get you extremely organized in your mom life. It is a planner that will help you balance not only your personal and family life, but also your work life, whether you work from home or from the office. Before we get into the product, I have to mention that I did receive this product at a deep discount in exchange for a review, but as always, this doesn’t affect me review on the product, and I will always give my honest opinion to serve your best interests. All that being said, let’s get into the review! 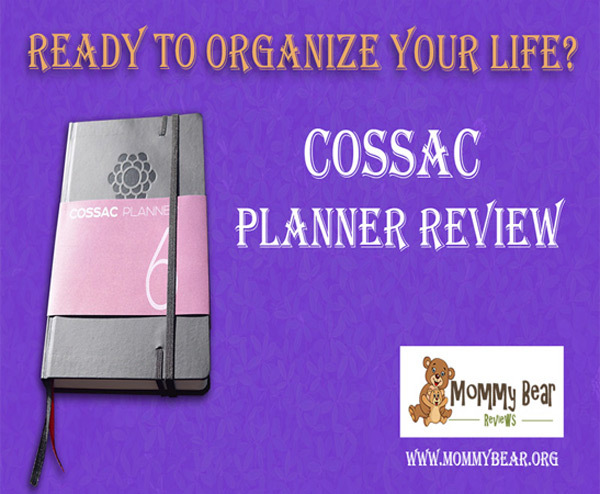 The product that I am reviewing today is the Cossac Planner. From what I have seen of this planner, it is great for tracking your monthly, weekly, and daily goals for both your work and personal life. What this planner means for moms is that you can track your work, whether from home or at the office, as well as keep goals and appointments for your family. This planner is super detailed. You can keep track of months, which is good for work goals as well as writing down doctors appointments, soccer practices, and much more! Next you have pages that help you detail your weeks. This section would be fantastic for meal planning, jotting down closer appointments, and scheduling different activities to do with the kids each day, especially if you keep an eye on the weather and plan between inside and outside fun. The planner has numerous single day sheets where you can plan your daily priorities, make an entire schedule for the day, and keep track of good habits you are trying to keep going in your life, or even habits for your kids as well. Each section is undated, so if you miss a day, or even a whole month of planning, you can jump back in when life gets hectic again, and you need to plan it out. 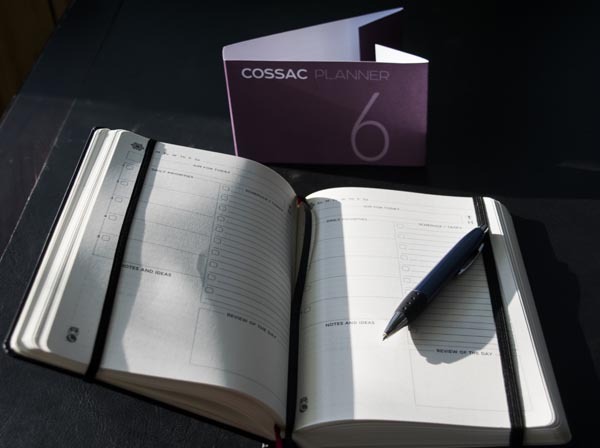 The Cossac Planner also includes plenty of sections to reflect on your previous month, week, or day. This will help you see what went well in your planning, and what may still need some work. 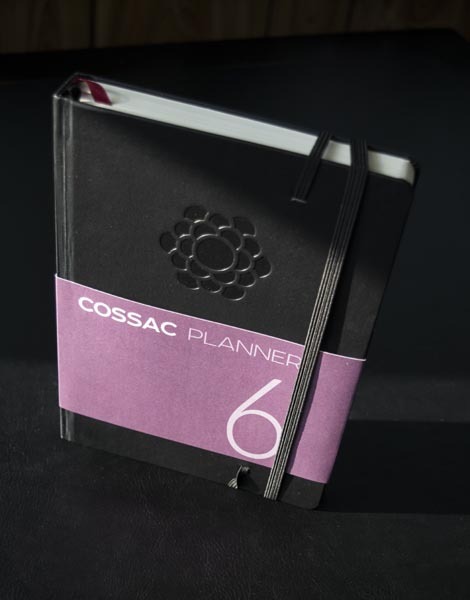 Cossac boasts that this planner will help you become so organized, you will have time to plan out your passion project, and they have a box in the weekly goals section for just that. Keep your passion project in the forefront of your mind, and take notes on that and anything else in the ample space this planner has for notes, mind-mapping, and brainstorming. This planner is a six month planner, and since you will be carrying it around for so long, it only makes sense that it is made of tough materials that will last during the long period of usage. 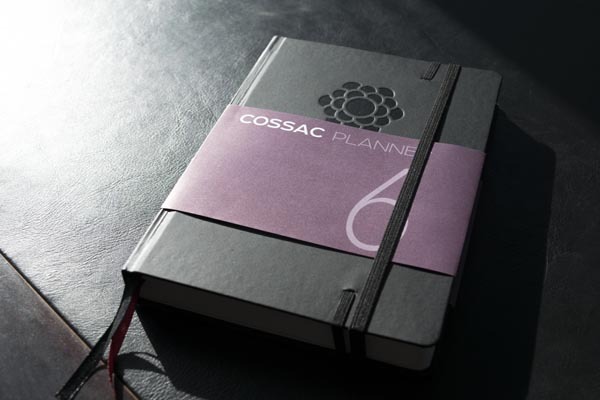 The Cossac Planner is beautifully made of high-quality materials and acid-free paper so keep your notes and schedules in tact for a long time. The planner itself feels very sturdy in your hand, if not a little bit thick. Since I have covered what I really like about this planner, I think it is also important to touch on what I didn’t like as well. Let’s get into the cons of the review. While this planner has a lot of good things going for it, I did notice some negative things about it. To start, there are a lot of sections in this planner. A lot of check-boxes, schedules, list types, room for passion projects, places for tracking habits, and places for tracking your health. While all of this makes a little more sense to me now that I have been around the planner for awhile, it seems like it has a little bit of a steeper learning curve than you would expect with a planner. You can get the jist of it right away, but you will miss all the features unless you watch the tutorial video that they advertise throughout the planner. The fact that a planner needs a tutorial video seems a little much for me. Especially since you have to sign up for Cossac’s email opt-in list to even watch the video, which seems a little unfair since you already bought the planner. The video is two-and-a-half minutes long, and helps clear up a lot of things about the planner, but still seems like a lot to go through to be able to use a planner. I was also very confused about how they laid out the weeks, months, and years of the planner. There are 6 months in the planner. There are a number of weeks in the planner that matches the 6 months, which is 24. But then you get 272 single day pages. This is about 9 months worth of days. So why would we need 3 extra months worth of days if we can’t plan out the month or weeks as a whole bigger picture at the same time? My suggestion is that they should add 3 more pages to make it a 9 month planner, or take out 90 of the day pages and make it a lighter planner that is easier to carry around. This may not bother other moms out there, but it seemed a little off to me. Once you get the hang of everything in the Cossac Planner, it makes sense, and it’s cool you get to track your personal and work goals all at once, but the extra pages and the steep learning curve for being a planner keep this away from the 5 star mark for me.